The City of London Police’s Intellectual Property Crime Unit (PIPCU) has arrested a man as part of an investigation into counterfeit airbags, which are being sold to the public online. 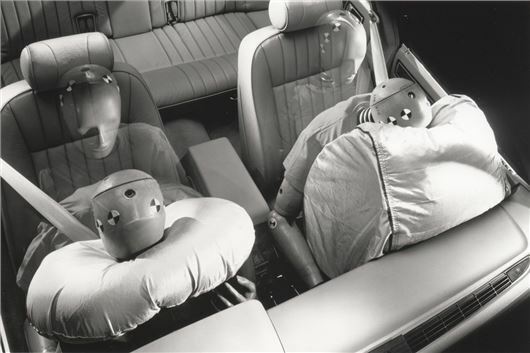 The airbag and airbag covers are described as “potentially dangerous”. 680 people who are believed to have purchased the airbags have been alerted by the police and have been advised to visit their local dealership to have their cars checked over. The investigation started when Honda informed the police that counterfeits had been seen for sale online. Superintendent Maria Woodall of the City of London Police said: “The counterfeiting of any device designed to save lives demonstrates the obscene lengths criminals will go to make money and their sheer disregard for those they are exploiting. “With the safety of the public being our primary focus in this investigation, we are urging anyone who has concerns about a possible counterfeit car part they may have, to contact their nearest authorised car dealer. They will have the expertise to examine the vehicle and determine if it is safe and roadworthy.